GoAir is offering flight tickets from Rs 2,765 in a limited-period scheme. Under the GoAir scheme, domestic flight tickets are available from an all-inclusive Rs 2,765, international bookings are priced from Rs. 7,000, according to the airline's website - goair.in. Bookings under the offer can be made till March 26, 2019, according to the GoAir website. 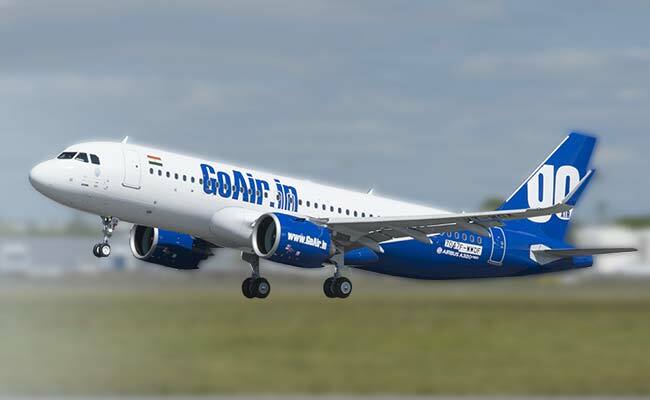 Under the offer, the cheapest flight ticket is offered by the airline on the Guwahati-Hyderabad route via Kolkata, according to the GoAir portal. Flights tickets are priced from Rs 3,222 on the Jaipur-Bengaluru route via Hyderabad. Meanwhile, IndiGo has announced new domestic flights at a starting all-inclusive price of Rs. 1,999. The daily direct flights will be operated on Hyderabad-Kolhapur and Tirupati-Kolhapur routes, starting from May 12, 2019.